There are only so many times you can go around in circles before you get so dizzy you don’t know up from down. I feel like this drama has been spinning from the same point of the story from day one. When it started to slow, the writer spun it around some more hoping for a better result- never making any progress out of the circle. 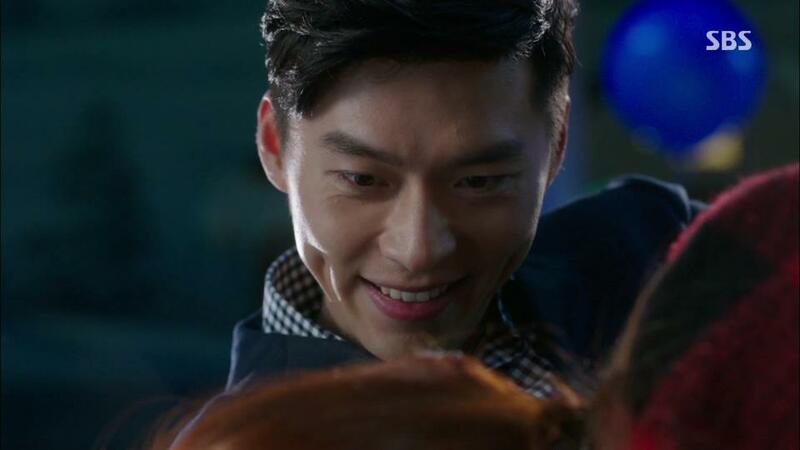 I hung in there for as long as I could, but tonight’s events made me realize I had enough -even Hyun Bin’s dimples aren’t enough anymore. I never liked merry-go-rounds as a child, and it turns out I still don’t. 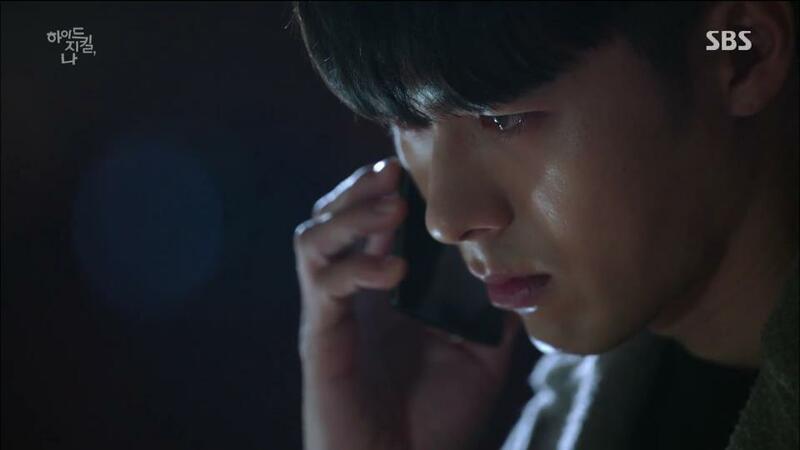 I’m hoping for better luck with Producers or that next Hong sisters drama Warm and cozy. You can’t become the monster people make you out to be unless you lose your humanity. I have always believed there is inherent goodness in people no matter how terrible they seem on the surface. Aside from serial killers who are a hopeless cause, I believe there is a way to bring out the good in the bad. There just has to be a point where humans can connect with each other no matter what outside factors influence our behavior. That’s why I knew that Robin couldn’t go through with the terrible thing TJ tried to program him to do. You just can’t negatively influence innate goodness like that. Robin is desperate to live, but it has to be on his terms. The good in him just won’t condone letting anymore innocent people pay for what he truly desires. SJ wasn’t the only one who learned a lesson from what happened five years ago. If seeking happiness with Hana means that more people will have to get hurt, Robin’s conscience won’t allow such sacrifice to be made. The cost of love shouldn’t be the pain of others. Especially if that means one of the injured party is his other identity. Every time I try to predict the ending for this love triangle, I always pictured Robin as the one to back away. He weighs and considers both of the people he cares about – Hana and SJ, but SJ still has a long way to go when it comes to changing. He still puts himself first before Robin. That might make him the lesser man, but at least the better part of himself (Robin) wants to do the right thing for all parties involved. Just when you think they crossed a hurdle and made some headway, here comes another complication that might bring along a tidal wave of trouble. Somebody needs to tell SJ that every time he does something to backstab Robin, it’s his own foot he is shooting off. He might as well be looking in a mirror as he smirks, gloats, and feels smug. Making Hana dislike Robin isn’t going to help his case down the line once she learns the truth that they aren’t twins and are in fact one person. For a smart man, SJ really lacks foresight. That makes me feel even worse for poor Hana. It’s one thing to feel rejected and turned down by a guy she opened her heart to, but imagine learning that he did that on purpose out of spite. She entrusted Robin with her feelings, but SJ took that and used it as ammunition to hurt Robin and in the process Hana as well. Feeling betrayed and let down by one guy is bad enough, but it must be sheer torture to have it done twice simultaneously – when SJ didn’t relay her feelings to Robin and when she thought Robin rejected her. Pretty soon, there will be two guys vying for her attention and love once SJ’s emotions catches up to his heart, but with the damage SJ has done, you have to wonder if the object of their affection will stick around that long. Honestly, when the writing, directing, editing, and producing fails to deliver, I have to resort to having faith in the actors. 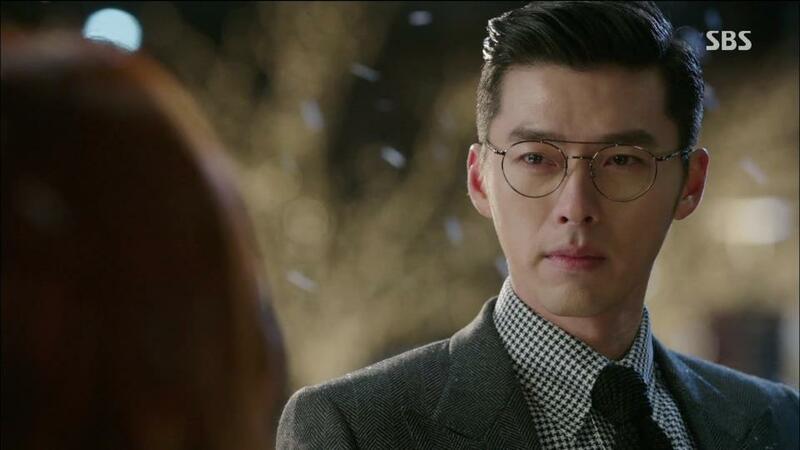 When Hyun Bin signed up for this role, he must have felt something for this drama I am missing. 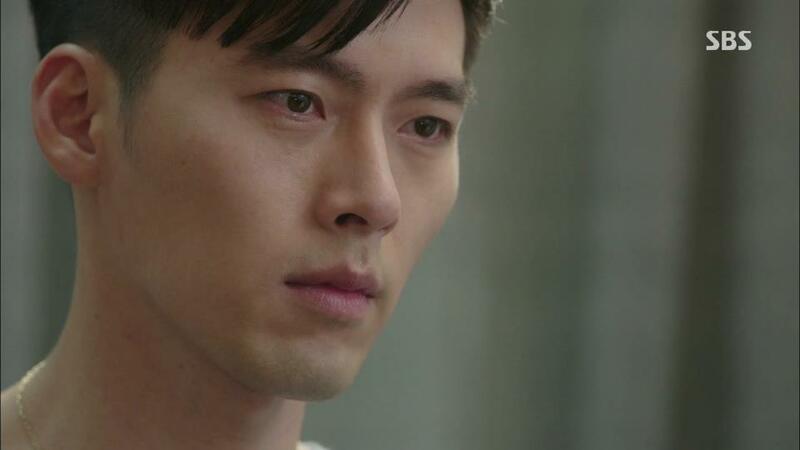 He is playing dual roles for Robin and SJ as well as he can so I am going to have faith that there is more to this drama than what I have seen so far. Maybe it’s one of those slow boiling shows that take time to simmer. Maybe all my patience will be rewarded soon. 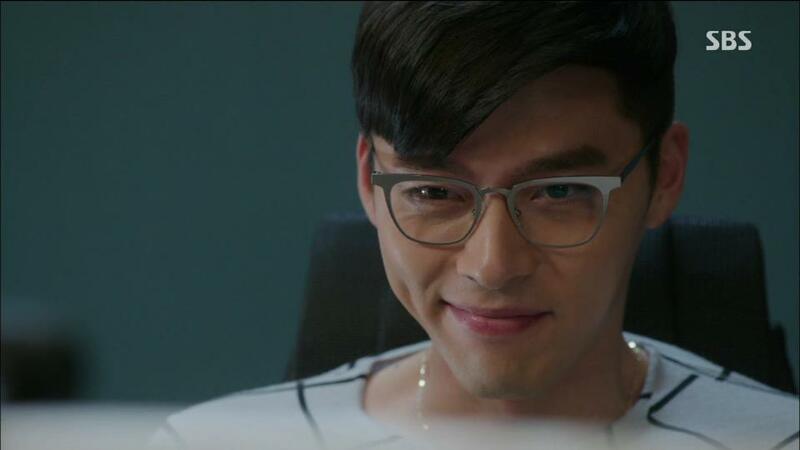 I keep looking at Hyun Bin’s cute smiles and it fuels my optimism momentarily. Right now, I am hanging on by a dimple here people. Looks like Robin is going to play both the role of cupid and possible love interest. Though I’m not really sensing all that much romantic vibe from Robin towards Hana yet for some reason, there is still room for hope. He clearly rolled away from her when they were face to face, but maybe it was for some other underlying reason like he feels his time to exist is limited and doesn’t want to get too close. He seems more determined to keep protecting her and keep her happy than anything else. I see more growing interest from SJ than Robin. Despite his iciness and bark, SJ keeps doing nice things for her like saving her life twice, returning her scarf, and lending her his umbrella. All acts someone like him would never do. The new deal Robin set up for Hana is going to flip the table and set all our characters scrambling to find their footing. By making things so cozy for SJ and Hana, I just hope Robin hasn’t inadvertently pushed himself out of the running for her heart. You can see this romance coming a mile away. This guy is primed to fall in love. SJ is at an age where he should crave the passion from being in love. He doesn’t know just how ready he is to be overwhelmed by love – vital stats be damned. That’s why I am hoping SJ falls for her first. It would be great to see the rug pulled out from under him so he can see it’s not too bad to have feelings and affections for someone. It’s even better if Robin is the one to yank that rug away. Maybe for the first time when SJ’s heart rate spikes, it won’t be something to dread or fear cuz this time it won’t be an indication of failing health but something to rejoice. It will mean SJ finally gets to feel what it’s like to really live.